On paper, the law is clear: men and women enjoy equal property rights under Afghanistan's 2004 constitution. But on-the-ground reality says otherwise as a combination of tradition and customary laws keep most Afghan women unaware of their land rights and far from owning property. As the Afghan Ministry of Justice estimates, 90 percent of Afghans decide land rights according to customary laws – regulations developed and instituted at the regional and tribal level. For this reason, few Afghan women are able to capitalize on their right to inherit and own property. While customary law varies throughout the country, it typically pressures a woman to relinquish her share of an inheritance to her brothers in order to ensure her social protection in case of divorce; demonstrate family loyalty; and avoid discrimination and shame at the hands of her community. The cultural expectationis that a woman's husband will become her economic provider and therefore she does not need her own land in her name. According to this view, it simply makes more economic sense for a woman to leave her share of land to her brothers, who will use it to provide for their families while her own husband looks after her. But this tradition ignores the good that comes from putting land in the hands of women. For one, with women's entrepreneurship on the rise in Afghanistan, land could act as collateral for women who need credit to grow their businesses – and in the process create jobs and boost their family's income. Second, owning land could help women working in agriculture increase their production rates by 20 to 30 percent, contributing to improved food security throughout the country. And third, land ownership by women has been linked to reduced violence against women, with some experts estimating that a woman who owns land is up to eight times less likely to experience domestic violence, a scourge found all across Afghanistan and affecting nearly nine out of ten women. With evidence of the benefits of women's land ownership clear, the question is: how can the U.S. and Afghan governments, along with multilateral organizations, put laws on the books into action when the law is so often left in the hands of local tribal leaders? USAID tried to tackle this question with the Land Reform in Afghanistan (LARA) project, which ran from 2011 to 2014. The initiative established a Women’s Land Rights Task Force comprised of prominent Afghan men and women as well as civil society to advise project leaders on land rights affecting Afghan women. 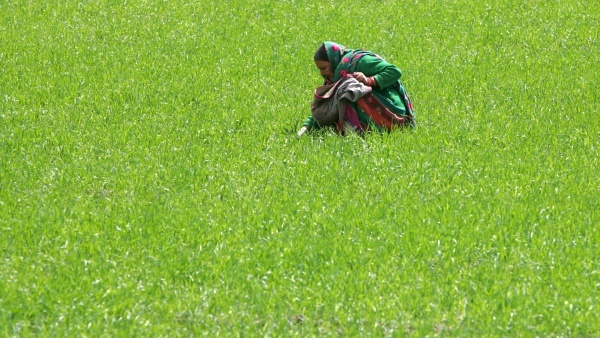 The project proposed strategies for bolstering women's land rights, but it is unclear how much women's access to their land has changed since. The U.S. Institute of Peace recommends addressing women's land rights within an Islamic law framework, especially given that the Quran and Hadith permit women to both own and inherit property. As such, including local religious leaders in awareness raising campaigns and educational programming on women's land rights could boost buy-in from communities. What is clear is that Afghan women face much more work ahead. As the most recent Afghanistan Demographic and Health Surveynoted, only 17 percent of Afghan women independently own a house, compared with approximately 50 percent of Afghan men. This issue is often seen as secondary to the conflict in the country and to the overall plight of Afghan women. But getting land rights right could help to address both the nation's stability and its prosperity. For all its citizens. This blog was originally posted on the Council on Foreign Relations (CFR) website.